or making them for family and friends. everything from cute, funny to religious. 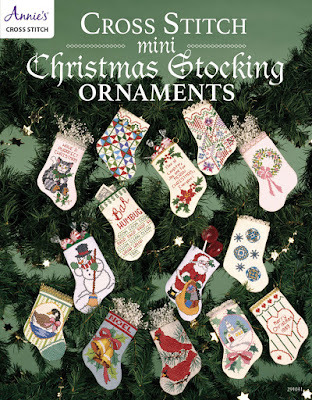 The book starts with the template for the stocking pattern. Then general directions for cross-stitch. From there are the patterns for the designs. format in black and white. Each of the colours of the threads are marked with symbols. book is deciding which design to make first. a book that you'll use time and again.